Fanny Blake is a lovely Book Magician in every sense of the word. 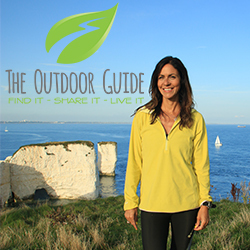 Not only does she recommend great books in Woman and Home magazine, speak to amazing authors and share those interviews with us, she also writes stories herself – evocative, emotional reads about female friendships and relationships plus much more besides! 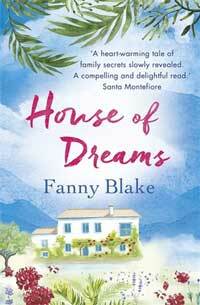 Now, she’s recently been on the Booktrail as part of her latest blog tour for House of Dreams. But when we last chatted, the conversation just happened to get around to cake. She mentioned she loved lemon drizzle and peppermint tea. So, guess whatI tempted her back with? Hi Fanny! Come on in, rest your legs and I’ll pour the tea…. You’ve set your latest novel in Spain. What are your links to that part of the world? I studied Spanish at university and in the holidays I hitched all over Spain with my then boyfriend. Although I’ve been to the south a few times, I really fell in love with it when, a year after my father’s death, I went on a walking holiday with my mother. We started just outside the white hilltop village of Gaucín and spent a week walking through cork oak forests, exploring white villages, following goat tracks and ancient . We eventually ended up in Ronda. When I wanted a setting for this novel, I remembered Gaucîn and thought it would be perfect, so I went back to do a recce and that was that. Even the townhall in Gaucin is pretty! Three siblings come together for a very poignant get together but there is lots of humour and wit in the story. Were you worried about balancing the two? Not at all. There’s usually a funny side to everything, even the saddest of events. I remember my sister and I hysterical with laughter on the way to my grandfather’s funeral. It was wildly inappropriate but it did ease the tension. One of my favourite scenes – something I felt bad for laughing at – was the scene at the airport. Do you think humour like this helps us to cope with life? Yes, I really do. If you can find a way to laugh, or even just smile, at the more difficult things life throws at you, it definitely eases the path. Have you ever been on or heard about a fraught family get together and this is what inspired your novel? Hasn’t everyone?! Actually I was inspired by hearing someone talking about a memoir of his mother, written because he wanted to know her better. As he said, you only get to know your parents when they’re a long way through their life so you never can know the people they were or the events that really shaped them. The fraught family get-together came after that. Your novel With A Friend Like You, was based on female friendships. Why do you think female friendships are so important? My women friends have always been enormously important to me. They know me as well as anyone and are a great support, fabulous company and make me laugh. I trust them implicitly and wouldn’t be without them. I hope they’d say the same about me. 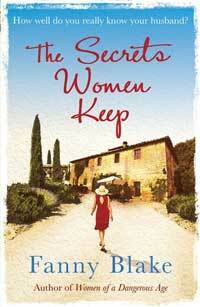 The Secrets Women Keep is set in Tuscany and there are some dark topics explored. Do you think your locations help tell the stories? That’s an interesting question. I don’t think they really do. The stories are so bound up with the characters and the issues they’re confronting that they could really happen almost anywhere. I just like giving everyone in the novel a bit of a break from all their problems by taking them to places I love. Your writing is warm and empathetic. How do you like to write? Do you have a spot at home or a favourite coffee shop? I can’t write with any noise going on – even though I do have tinnitus, so I carry some about with me which is annoying. But coffee shops are out. I’d spend too much time wondering about everyone else in there. In fact, I have a small room just off our kitchen, so conveniently close to the fridge and biscuit tin (not a good thing), but it’s very quiet and overlooks the garden. You have a busy day job selecting the titles for Woman and Home magazine. What’s your favourite part of the job? It’s a fantastic job. The writing side of my life is very solitary so I love being part of such a great team. But of course, the very best bit is reading the books. I’ll never tire of it. If you didn’t do the job you did as well as writing, what would you like to do? I would love to have been a tap dancer. I’ve got no sense of rhythm and can’t dance. But in my dreams it’s all different. We had an unforgettable 3 weeks in Myanmar last year where I’d love to return. But I think my favourite place is Formentera (a little island off Ibiza). I have friends who live there and I try and visit them every year. Which five writers would you invite to a cliff top house for a dinner party and why? Yotam Ottolenghi – I’m not much of a cook so I’d invite him to come early so we could be assured of some decent food. Anne Tyler – one of my favourite novelists who I once saw speak in Oxford. I think she’d be a great addition to any dinner party. 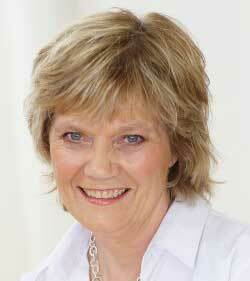 With many thanks to Fanny for taking the time to chat over drizzle cake today. Always a pleasure! She’s promised angel cakes for her next visit. Now you’re more than welcome back!